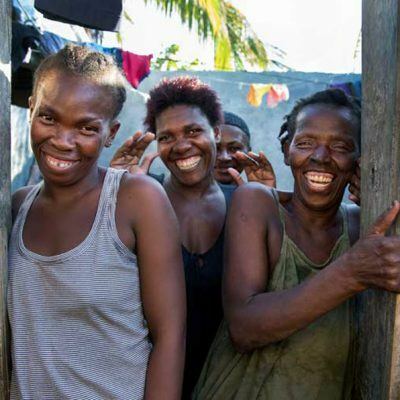 Today marks one year since Hurricane Matthew struck Haiti and neighboring Dominican Republic, and left behind a trail of destruction that claimed more than 500 lives and displaced over 175,000 people. 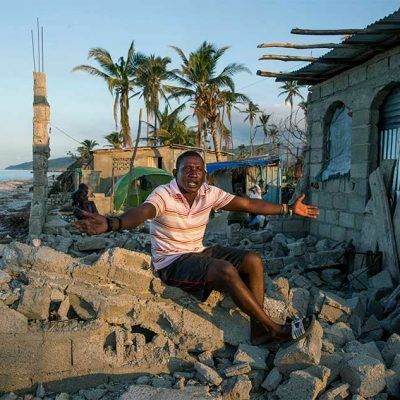 Haiti’s southern peninsula bore the brunt of the hurricane’s fury, where powerful winds and heavy floods destroyed millions of homes, ravaged large swathes of farmlands and decimated precious livestock. January 12 marks seven years since the catastrophic earthquake that devastated Haiti in 2010. Ahead of this anniversary, I visited the country alongside AJWS colleagues who work there, to document the widespread destruction left behind by another tragedy—Hurricane Matthew.